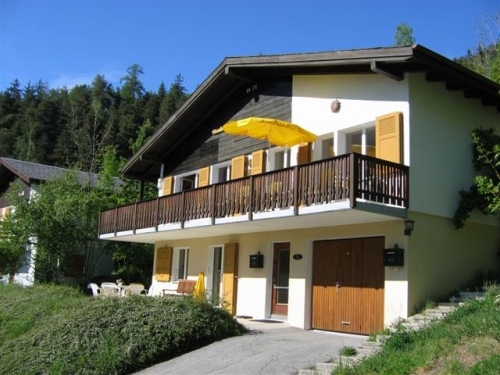 Detached sunny situated and comfortably furnished chalet suitable for 4 to 10 persons divided in two apartments with separate entrances. The chalet is facing the south and overlooking the Rhône Valley with the eternal snow mountains in background. The Chalet is very convenient for two families who want to be together but also appreciate their privacy. Fiesch is ideal in the spring, summer, autumn and winter. The Chalet is located 550yd. from the pretty village centre and the cable car. The sun will shine till approximitely 6-7 p.m. on the balcony and terrace (depending on the season).